Last week I uploaded a new video on my YouTube channel and I just realized I forgot to share it with you as well, so sorry about that. 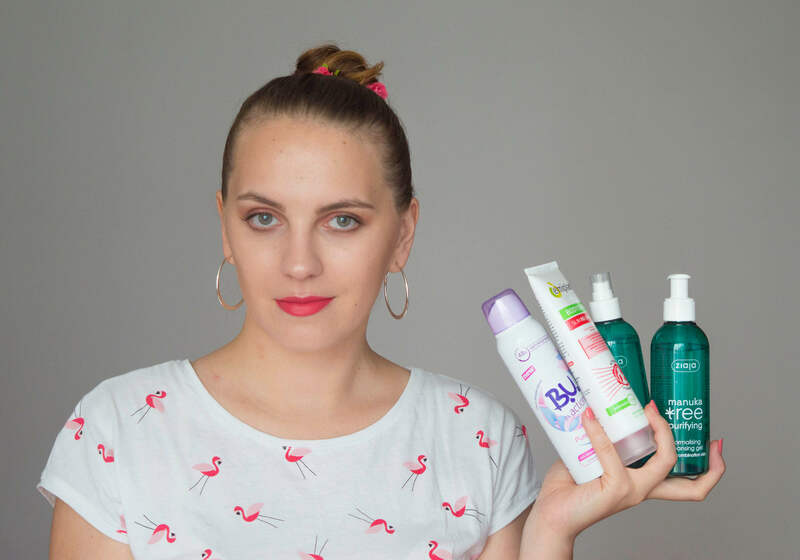 In this video, I’m talking about some of the beauty products that entered my routine recently. This is a new moisturizer I’ve just included in my skincare routine. I like that it has a gel texture, it’s super smoothing and refreshing, and it’s also the perfect base for make-up. It’s the first time I’m trying anything from the Ziaja brand, but so far I’m very pleased with my choices. The cleansing gel is very efficient in removing the face make-up, it’s soft and gentle. And the toner is fresh, it helps keep my skin calm, hydrated and soothed. They both have a lovely subtle scent. My skin seems happy, so I’m gonna keep using them. This was a birthday gift, and I’m more than excited about it! It’s my favorite perfume of all times, I think it’s very classy, feminine and chic. It’s a floral fruity fragrance, so it smells like summer, and it makes you feel like you’re in a big elegant garden, in a sunny day, while wearing a silky dress. Just make sure you mix it with moisturizer or add a few drops on a wet cotton swab, because it could hurt your skin if you apply it straight on the face. Great for achieving a soft and smooth skin, not so great for cellulite, unless you actually pair it with healthy food and exercise (duuh!). So it’s not a wonder product, but it does feel great on the skin (it has a soft cooling effect) and it helps it become more firm and tight. I’ll admit I’m not a big fan of women spray deodorants, because I feel like they’re not as efficient as the ones from the men’s department. Even though I’m still madly in love with Syoss products, I ocasionally use other brands as well for my hair. These two products from Wash & Go are pretty good, they keep my hair clean, soft and easy to untangle. They’re not the best for volume though, but overall I’m pleased with the way they make my hair look and feel. Well, that was about it. Let me know if you’ve used any of these products, and what goodies have you recently included in your routine! And don’t forget to subscribe to my YouTube channel, I’m really working on it and I post once a week!